Of all plant food, peanuts are one of those with the highest magnesium content. They provide us with essential amino acids, vitamins, mineral nutrients, and secondary plant substances. Peanuts contain no cholesterol but are rich in unsaturated fatty acids. Peanuts belong to the pulses – i.e. they are not really nuts but more related to peas and beans. 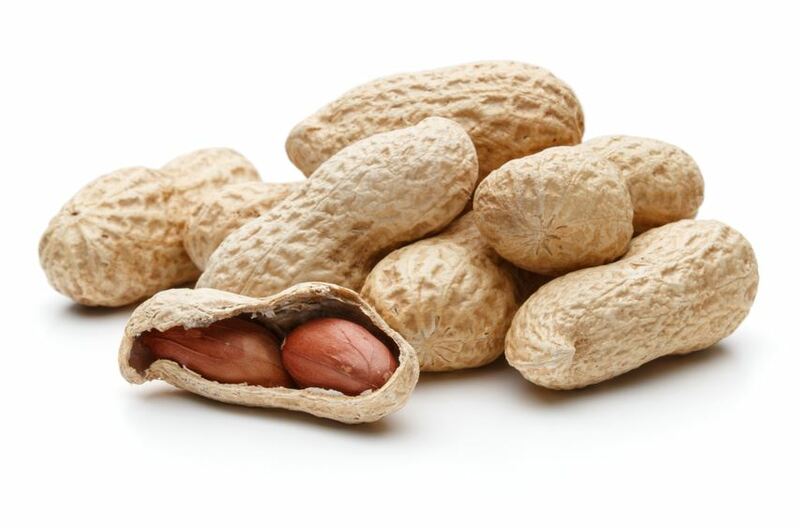 The name peanuts shows that relation, and their other name “ground nuts” indicates that they grow near the ground. Initially, the peanut plant was at home in the Andes in South America, today they are grown in tropical and subtropical climates all over the world. The pericarp is oblong, slightly bent, with a net-wise surface structure, it contains two to three almost egg-shaped light-brown seeds. Peanuts can be eaten raw, roasted, boiled or puréed. Freshly harvested peanuts are always dried reducing their water content form 40 to 5-10%. Raw peanuts are on sale with or without shell. The taste of raw peanuts resembles that of their close relatives, beans and peas, they are perfect for baking, cooking, in muesli or as a snack between meals.